A mother of three, Anna is constantly running around – from work to the nursery, to school, to ballet, to fencing class. As if this wasn’t enough, she suspects that her husband is cheating on her. Her issues are hardly unique, but she has simply no time to stop and think them through. They build up relentlessly, threatening to crush her. Carrying on takes more energy than she has left. Will she be able to save what’s fragile and unique in her life? One day in Anna’s life. A day as long as a lifetime. The disruptive and cutting force of a woman and mother’s everyday life becomes a universal manifesto of their condition. Zsófia Szilágyi tells us about Anna’s world without feminist sensationalism or rhetoric, succeeding perfectly in her intent. She describes the strength and fragility of a woman who seems to never really change over time. She awakes awareness in women who look at her, and who would like to help her (and themselves) to get rid of an inconvenient role and being just themselves. It’s a sweet and violent denunciation, accompanied by an equally delicate and dense cinematography, which is almost a filter that veils reality. Minimalist, deep and truly authentic. Winner of the FIPRESCI award for best first feature at Critics’ Week at Cannes. 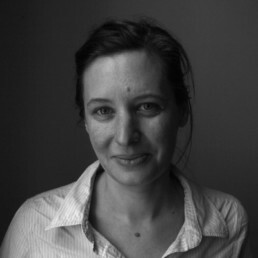 Author and director Zsófia SZILÁGYI graduated as a Hungarian grammar and literature teacher at the University of Pécs in 2002. She continued her education as a film and tv director at the Academy of Film and Drama of Budapest from 2002 to 2007. During her studies, she participated in a scholarship by Leonardo Da Vinci Programme and studied production at Mediopolis Film- und Fernsehproduktion GmbH, Berlin in 2006. In the same year she took part in Heimat, Europa?, an audiovisual project by the organisation of Kolleg für Management und Gestaltung nachhaltiger Entwicklung GmbH where she was a scriptwriter and camera assistant. In 2011, she won a Scholarship to the Goethe Institute in Hamburg. She worked as assistant lecturer to Golden Lion and Oscar-nominated director Ildikó Enyedi at the Hungarian Academy of Film and Theatre between 2007 and 2009. In 2012, she directed If you can (Ha birsz..’), a documentary supported by the European Integration Fund. She also worked on several short features and documentaries, most prominently as a casting directed for Ildiko Enyedi’s Oscar-nominated On Body and Soul. One Day is her debut feature.